"One must shed the bad taste of wanting to agree with many. "Good" is no longer good when one's neighbor mouths it. And how should there be a "common good" The term contradicts itself: whatever can be common always has little value. In the end it must be as it is and always has been: great things remain for the great, abysses for the profound, nuances and shudders for the refined, and, in brief, all that is rare for the rare." 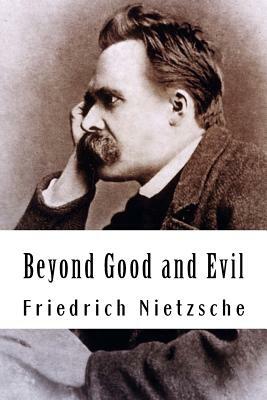 Beyond Good and Evil: Prelude to a Philosophy of the Future is a book by philosopher Friedrich Nietzsche, first published in 1886. It draws on and expands the ideas of his previous work, Thus Spoke Zarathustra, but with a more critical and polemical approach.